Posted on November 13, 2018 by treelawyer	tagged. There’s always a tension between the value that a lover of the land places on his or her trees and the price tag affixed to those same trees by the green-eyeshade crowd of financial experts testifying in some cold courtroom. The general rule is that the measure of damages when trees are wrongfully cut should be the difference between the value of the property before the trees were removed and the value after the trees are taken down. 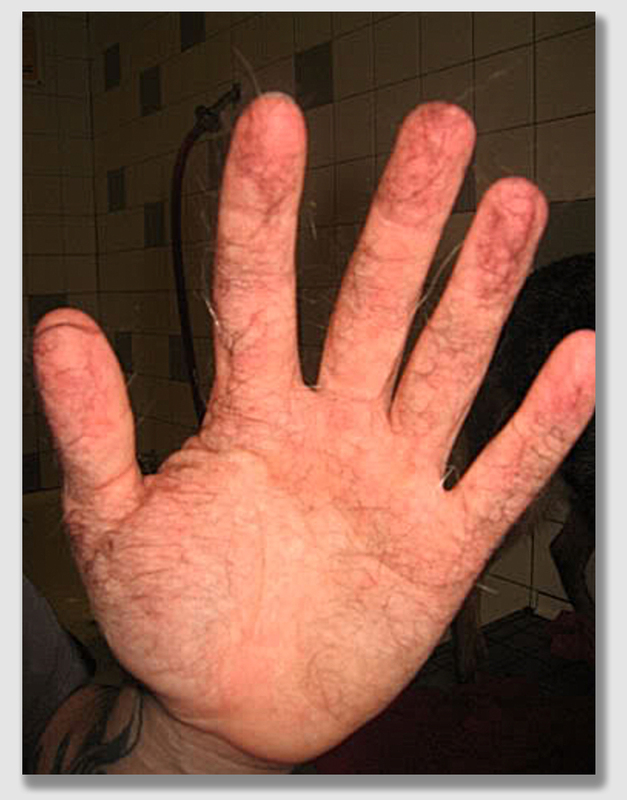 Fans of the ol’ case of the hairy hand (Hawkins v. McGee) from law school remember the general diminution of value concept. Notwithstanding this staple of first-year contracts class, courts in many states have carved out exceptions to the rule for situations just like today’s case. The problem usually arises when only a relatively few trees of limited commercial value are removed or destroyed. In today’s case, an Episcopal Church lost 22 small trees when a contractor dumped too much fill dirt – taken from a road construction project – around their bases. The Church proved in court that replacing the trees — a couple cherry trees and a score of red oaks — would cost just over $17,000. 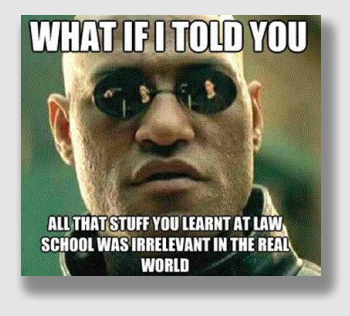 But the trial court threw the case out, because it believed that the replacement costs weren’t relevant. Rather, the trial court said, the Church was obligated to prove how much less its land was worth with the trees gone. 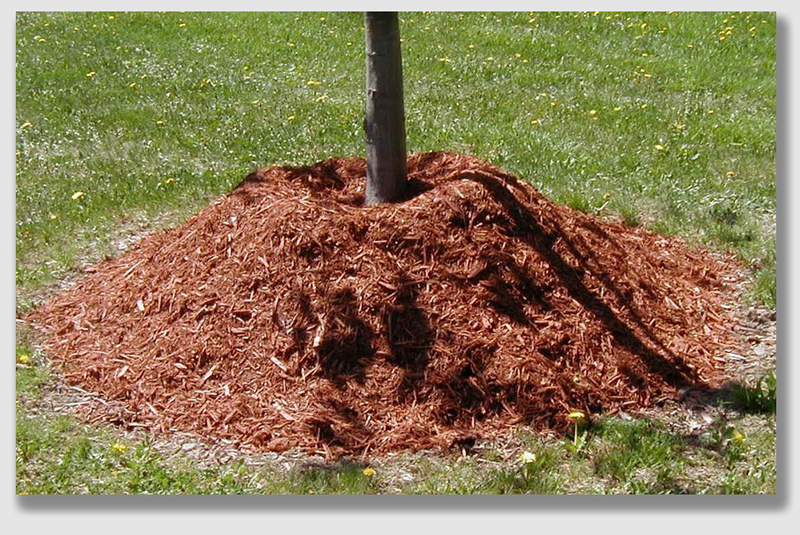 The “tree volcano” … pile dirt around the base, and suffocate the sapling. The Church lost 22 trees this way. Holy birch bark! The problem was that the worth of the property hadn’t fallen much, it being close to a road and of limited use (there’s not that much of a market for church properties). But the Church didn’t want the diminution in property’s value for its collection plate: it wanted its trees back. The Minnesota Supreme Court had mercy on the Church, holding that where the trees served a function that was primarily aesthetic, replacement cost was a fair calculation. Sometimes justice can’t be done by using the cold, analytical diminution-of-value approach. Occasionally, the wronged owner just plain likes the trees that had been taken, and who’s to say that because the loss may be measured psychologically rather than economically, the damaged party shouldn’t be compensated. We always thought that in such cases, the wrongdoer should be held to lose much of his or her moral standing to complain about how injured the injured party is. In this case, the Court said, that the owner’s enjoyment of the trees might not be quantifiable in a real-estate-value analysis just didn’t matter. (The second case we studied in law school, Peevyhouse v. Garland Coal & Mining Co., has always illustrated the mischief that can be done when a court ignores the aesthetic expectations of the wronged party). The decision is necessary in the world of tree law, because otherwise, too many cases would founder on the rocks of damages: too many malefactors could cut down too many trees, and the likely penalties, even with treble damages available, would not deter the conduct. Rector, Wardens & Vestry of St. Christopher’s Episcopal Church v. C.S. McCrossan, Inc., 306 Minn. 143, 235 N.W.2d 609 (Sup.Ct. Minn. 1975). When the Minnesota Department of Highways took about 8/10ths of an acre from St. Christopher’s to enlarge the intersection, the church lost its existing access and part of its parking area. The Rector hired C.S. McCrossan to construct a new parking space and access road. A grove of trees was located at the north end of the lot. In the process of grading, McCrossan dumped fill around the base of the trees, which the church argued caused the trees — two black cherry trees and twenty red oaks — to suffocate and die. The church’s expert testified that because of the variety, size, and condition of the trees, they had a total value of $17,267. The church asserted that the grove of trees not only acted to screen the area from heavy traffic on two sides, but also gave the area a natural, pleasing, aesthetic, wooded atmosphere. The trial court directed a verdict for C.S. McCrossan on ground that church failed to prove damage based on diminution in value of real estate. Held: The decision was reversed. The Minnesota Supreme Court ruled that the proper measure of damages for negligence in suffocating the trees was the replacement cost of trees rather than merely the loss of value of the real estate, notwithstanding the inability of the church to prove that destruction of trees diminished the value of the property as a whole. The replacement cost of trees that have an aesthetic value to the owner as ornamental and shade trees or for purposes of screening sound and providing privacy may be considered in determining damage incurred from the destruction of the trees, to extent that the cost is reasonable and practical. Although evidence may be presented in rebuttal that the effect on the value of land as a whole is minimal, it is for the jury to balance elements of damage in arriving at a just and reasonable award.